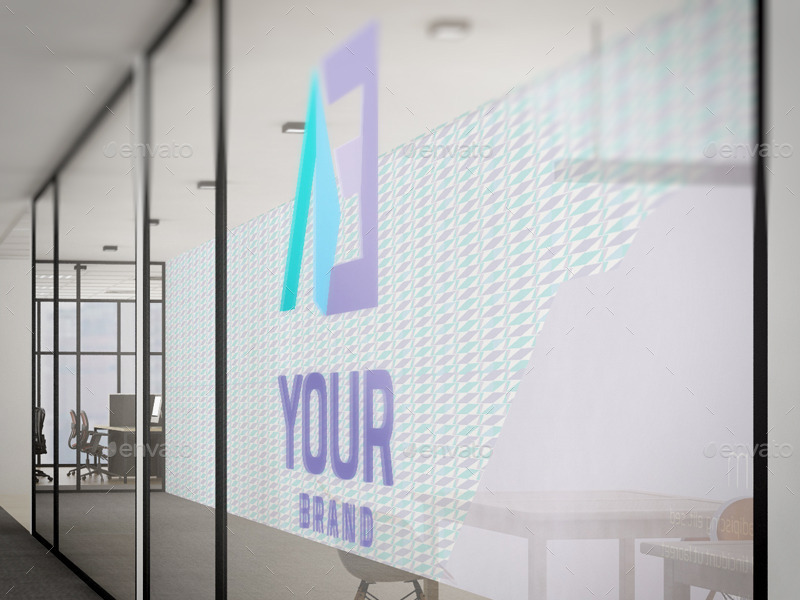 Another choice comes to your thinking. 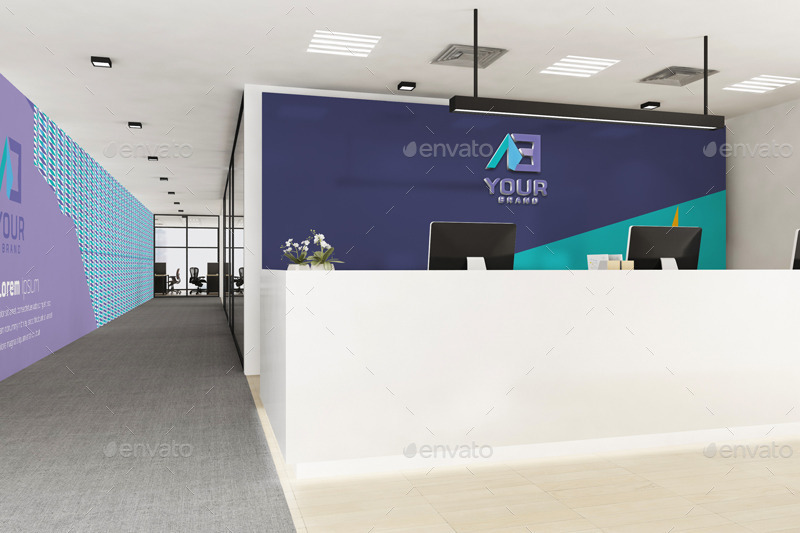 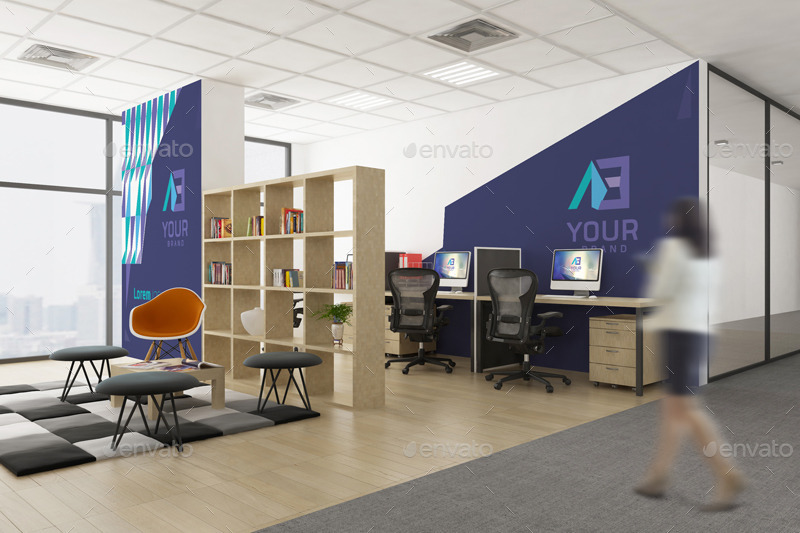 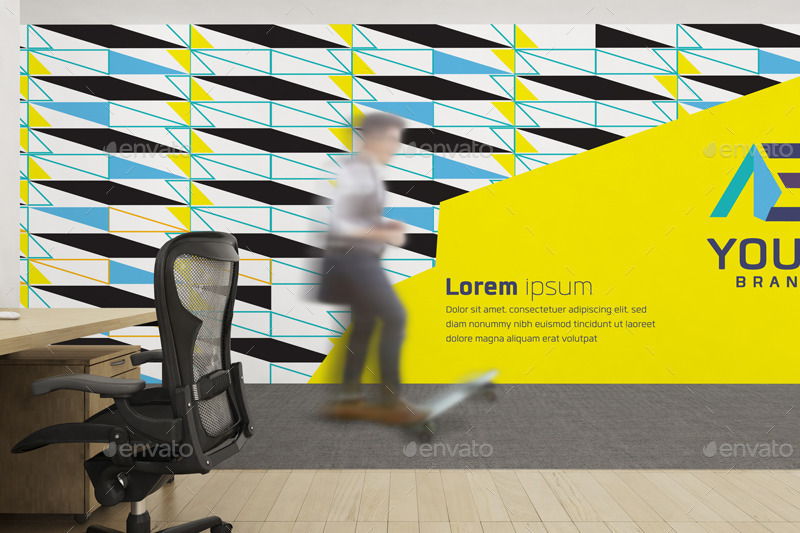 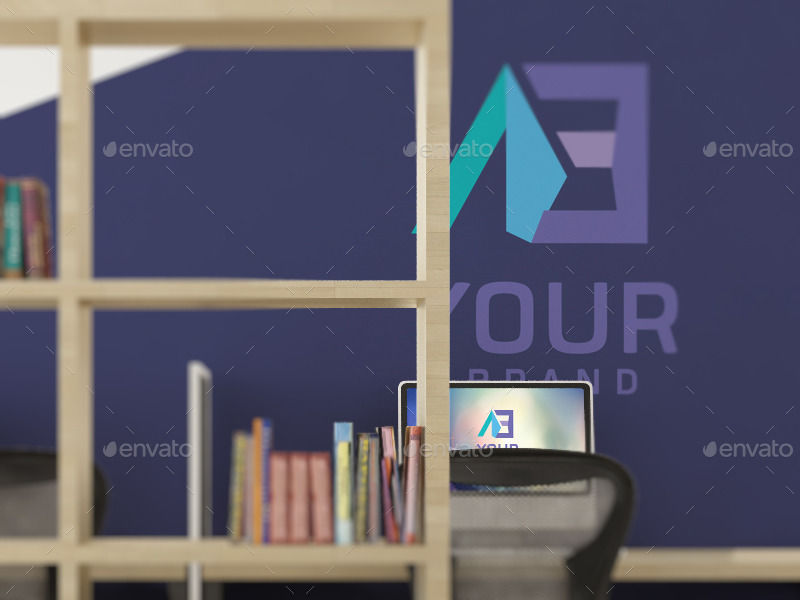 “Office Branding Mockups V2” was designed to have the connection between one department and the other. 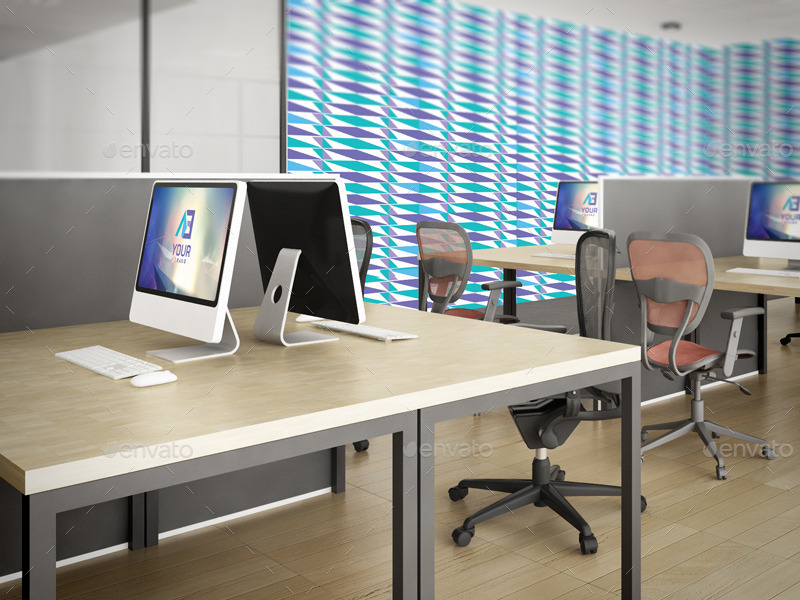 The staffs can work independently in their own office room or work together with their compliances in the meeting room. 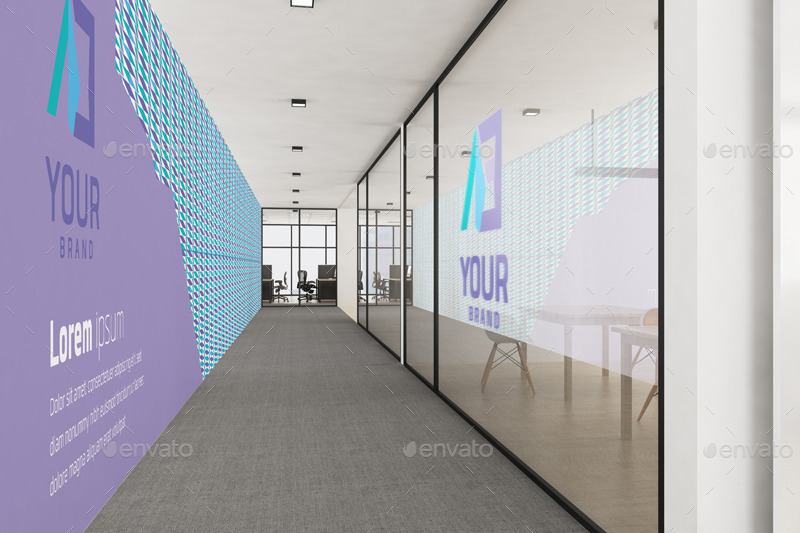 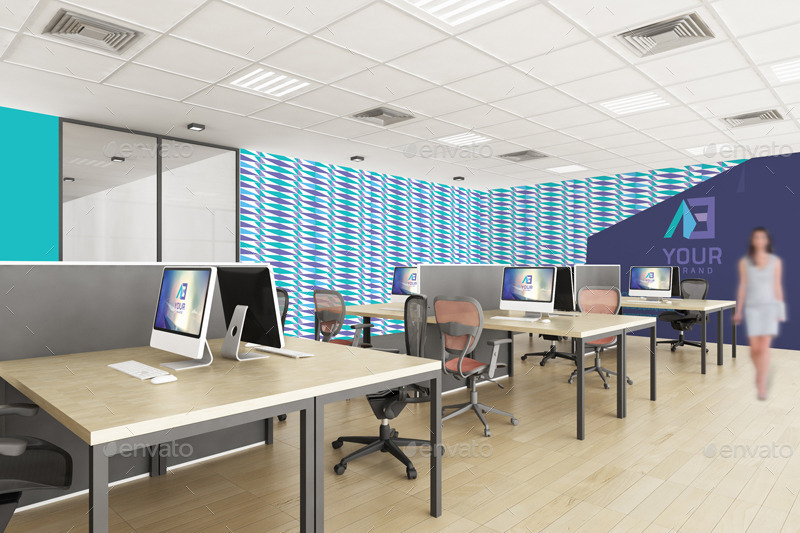 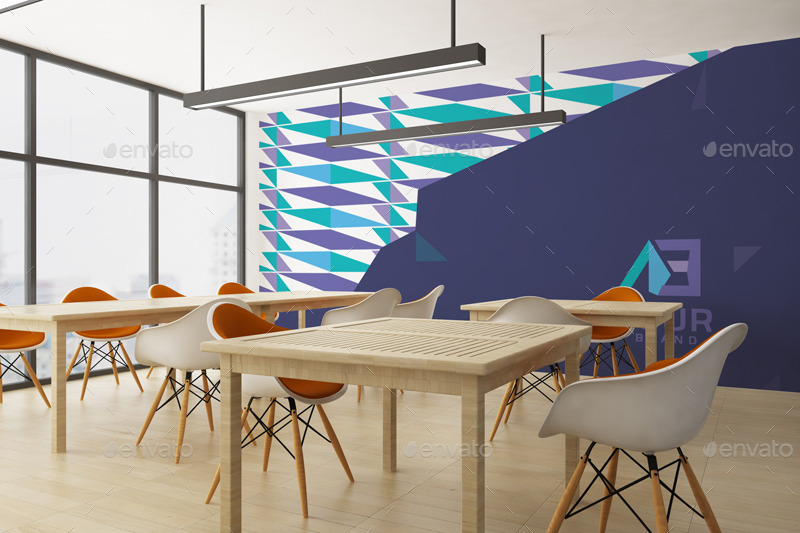 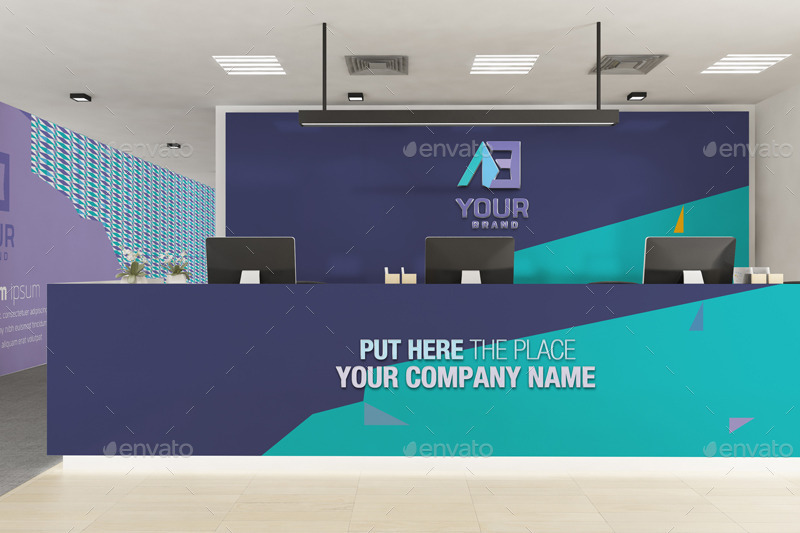 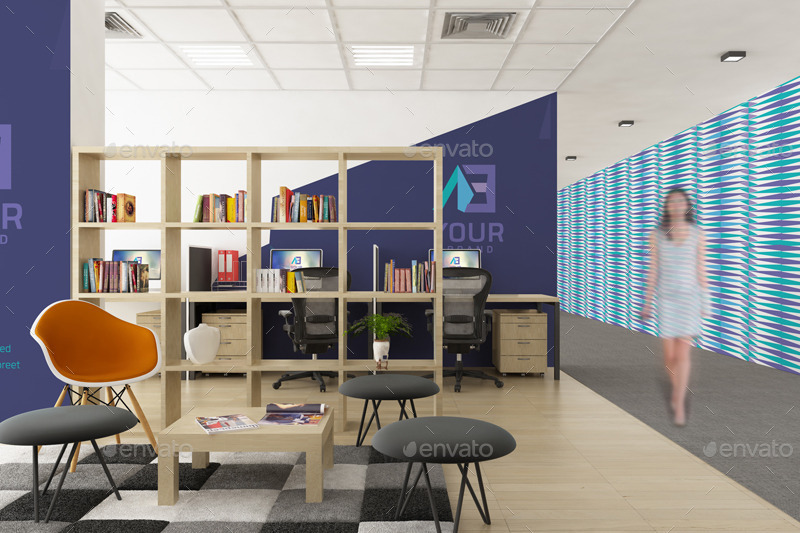 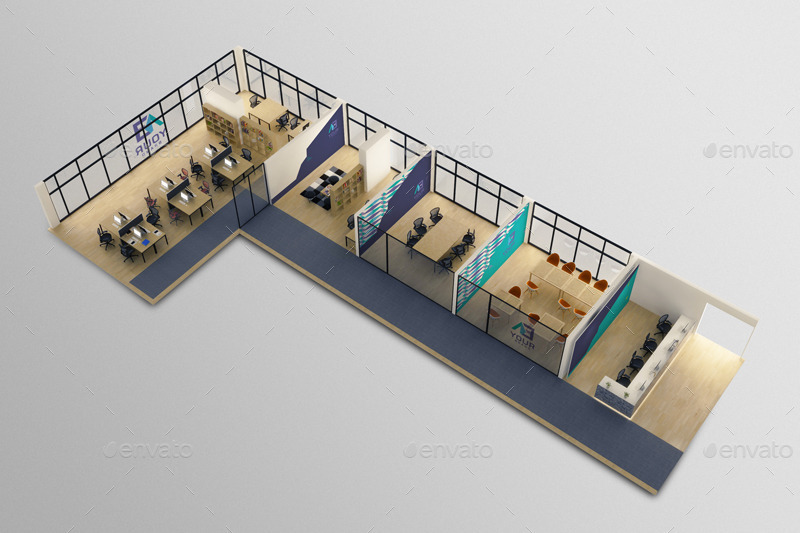 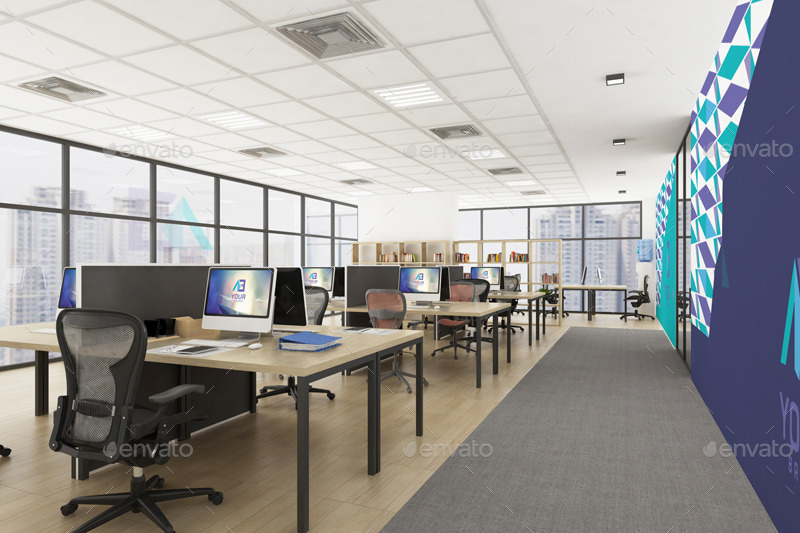 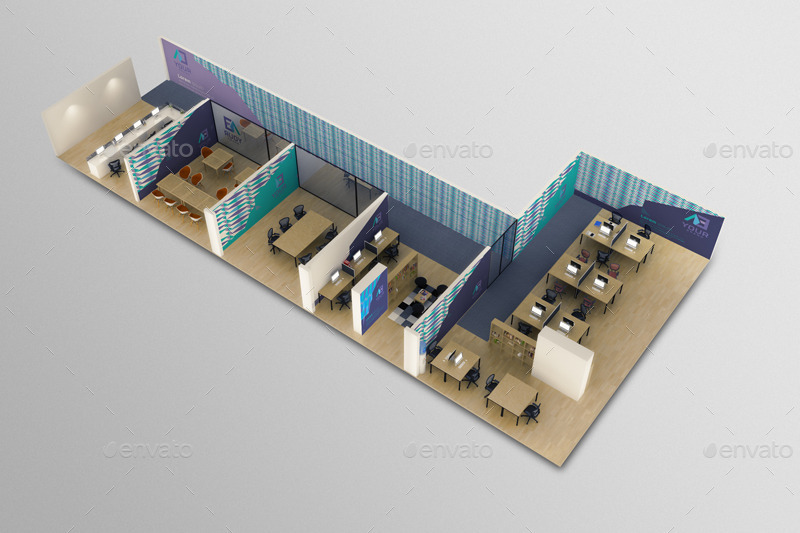 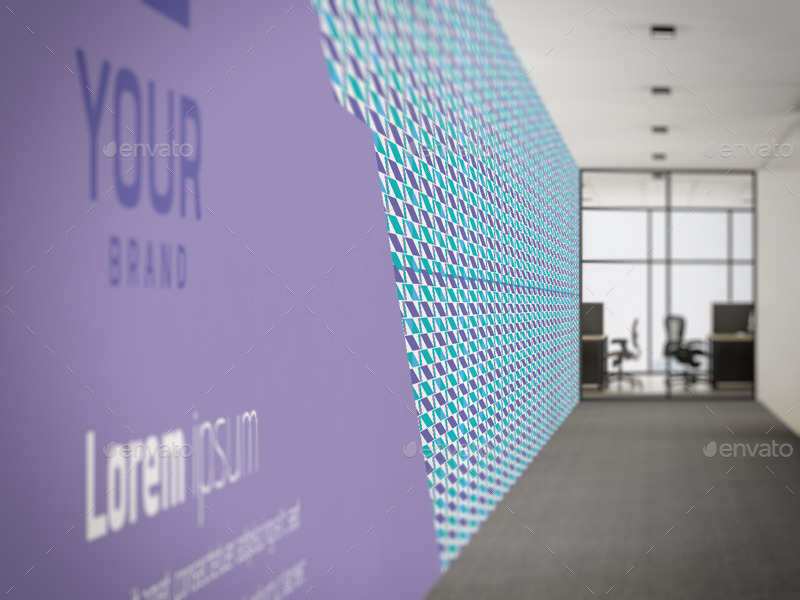 Our mockup has all designs for all kinds of room to meet your company’s demand. 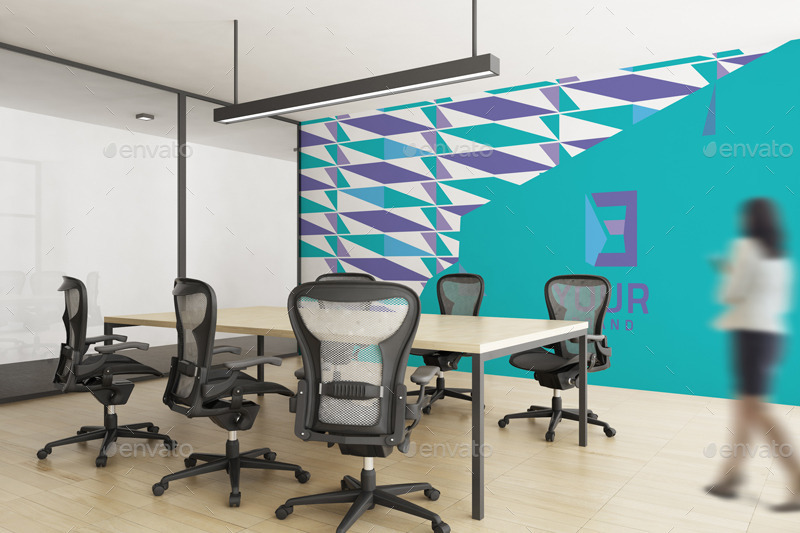 With a large scale, this is totally appropriate for big offices.